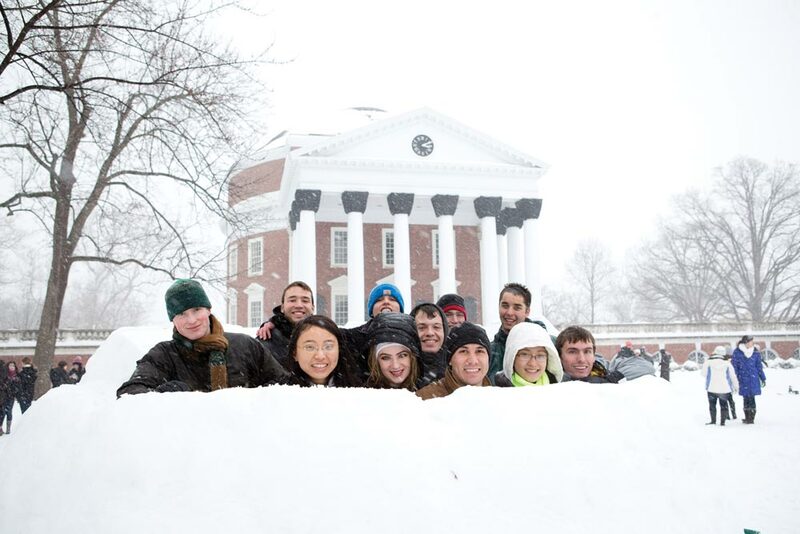 During the February snow storm, students built an igloo on the Lawn. Here they are mid-build. 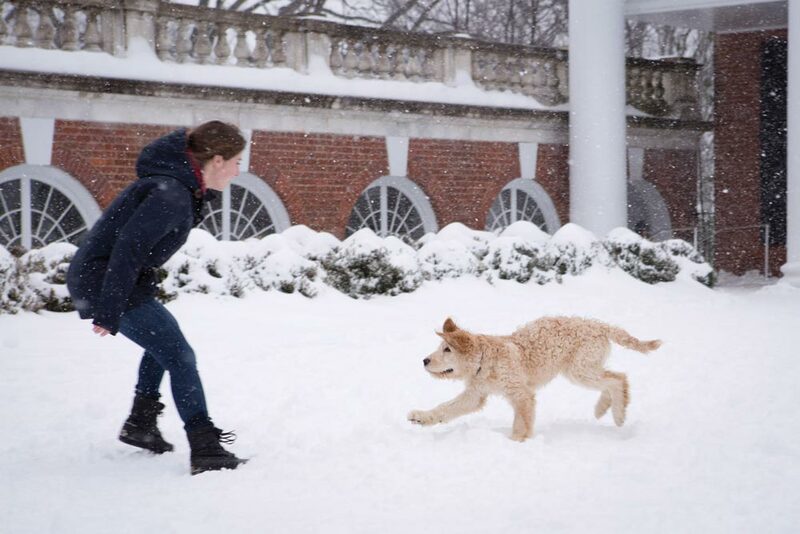 Snow fell on the University, softly blanketing the serpentine walls and balancing on even the most delicate of tree branches, bringing peace to all of Grounds—with the notable exception of the Lawn. 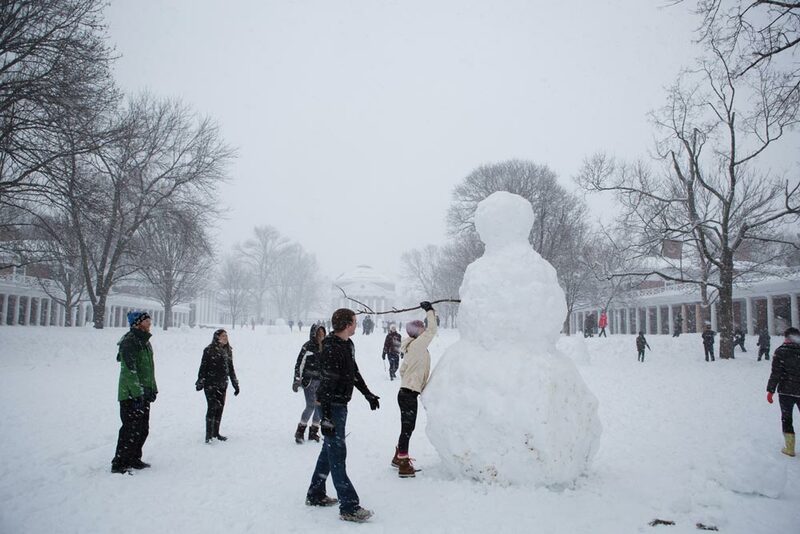 Here, between the snowy silence of the pavilion gardens and the unusual emptiness of the classrooms on a day when classes were canceled, we shouted and ran, happily scooping up snowballs and chasing our friends. Laughter filled the air as snowmen began to fill the Lawn, and many cheered as a particularly dedicated group of students piled buckets upon buckets of snow to make a wonderful igloo. 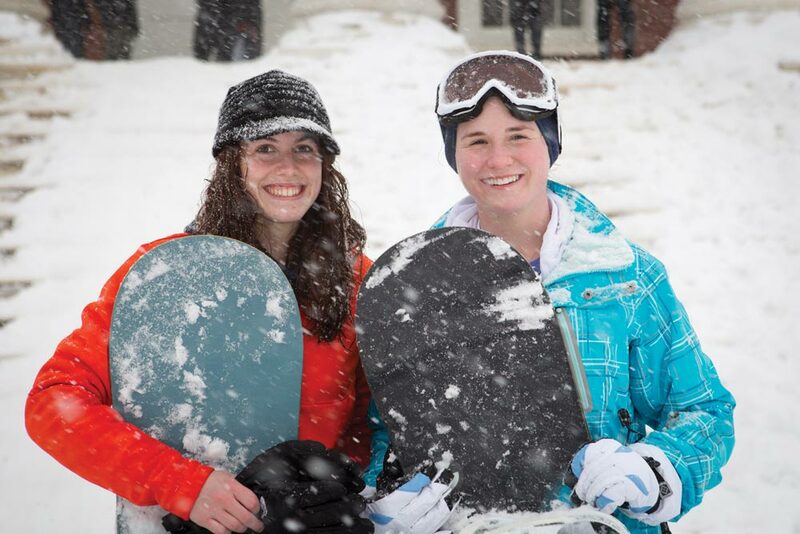 Students built a jump in front of the Rotunda and the ski and snowboard team raced down the steps, spraying snow as they spun in the cold air. One courageous soul even streaked the Lawn, dodging snowballs and laughter all the way. And even as the sky grew white and heavy with snow, we stayed on the Lawn well past dusk, reveling in the warmth of community and the transformative beauty of a snowy day. 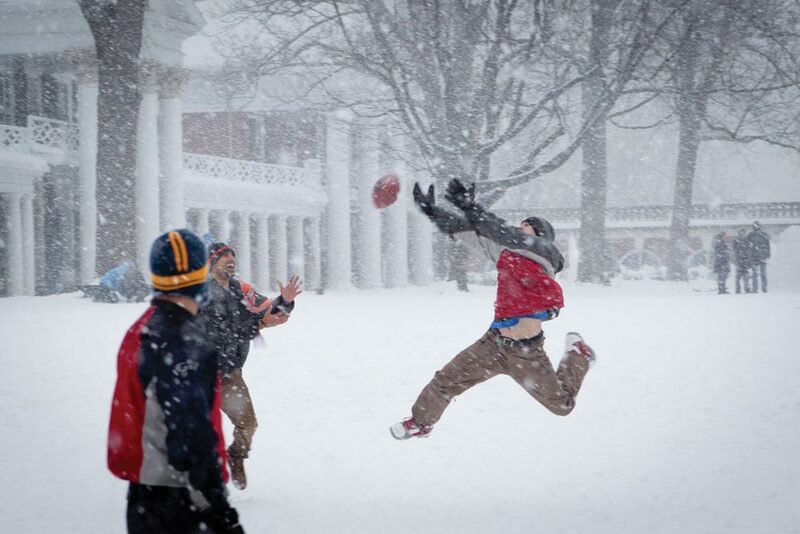 Snowy football on the Lawn. A student frolics with a puppy. 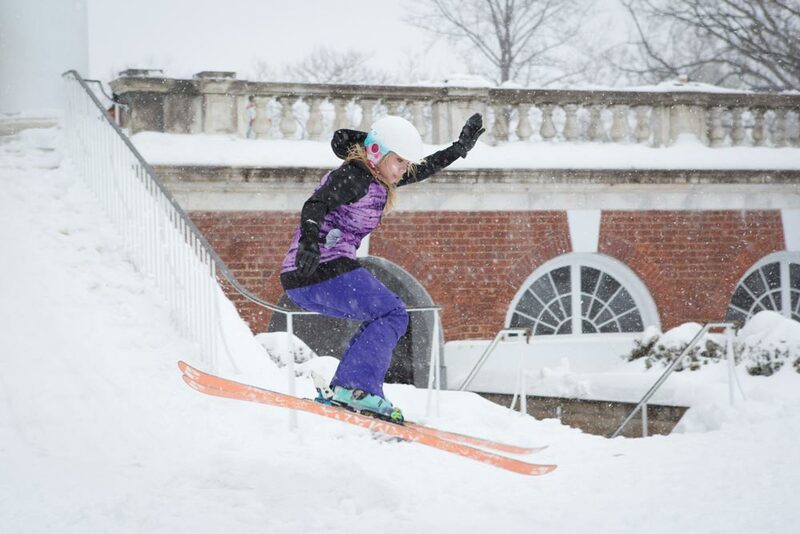 A member of the ski and snowboard team races down the Rotunda steps.